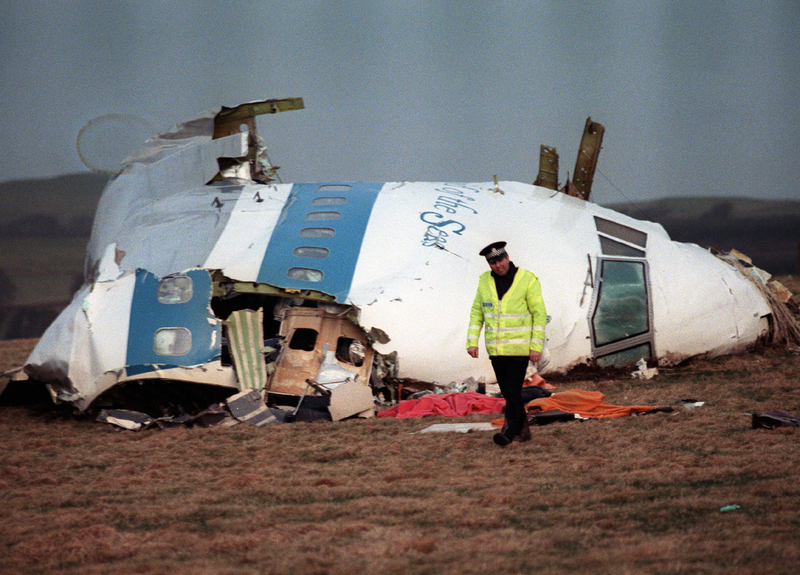 WASHINGTON - President Barack Obama's counterterrorism chief says the 270 people killed in the 1988 airplane bombing over Lockerbie, Scotland, can rest more peacefully knowing that longtime Libyan leader Muammar Qaddafi is dead. John Brennan made the comments Wednesday at a memorial service marking the 23rd anniversary of the bombing. Qaddafi's regime eventually took responsibility for the attack. Many victims were American. Brennan says Qaddafi's death adds special poignancy to this year's anniversary. He says the families of those killed can mark the day for the first time knowing that Qaddafi's regime has finally come to an end. The only person convicted in the bombing was returned to Libya in 2009. Brennan said the U.S. has repeatedly emphasized to Libya's new government the importance of dealing with his case.